We realize how important it is to give your partners maximum support and to invest in their success. Our more than 10 years of experience in providing partner empowered solutions has taught us that attention, support and commitment is needed to get (your) partner to be active and bring in revenues in your market. It’s no rocket science yet so many companies do seem to forget –not intentionally by the way – the impact a lack of attention will have on your top line! 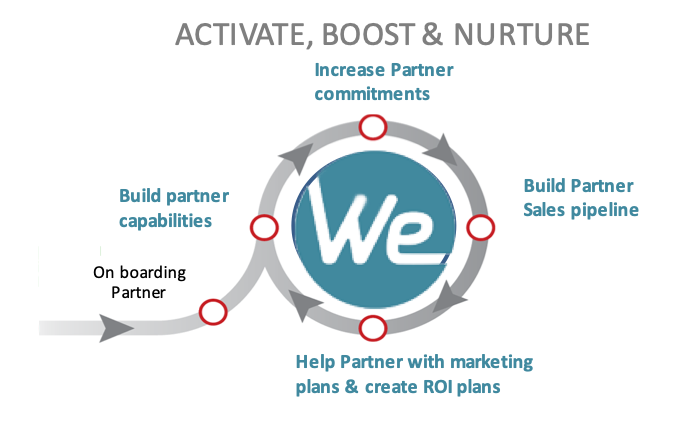 We Empower supports your partners with sales and marketing tools and services that make it easier for your partners to collaborate with your business.